A strong immune system can protect you against diseases and ailments. Every day our organism is burdened down by countless bacteria, viruses and other germs which act as parasites. We do not notice most of them because our immune system protects us from their attacks. This is more than enough reason to pay the greatest possible attention to this important regulatory mechanism in our body and to strengthen our self-healing powers. But constant overstimulation in work and daily life weakens our immune system. The result is constantly recurring infections and lack of energy, reducing our quality of life. Likewise there is a growing number of exogenous frequencies in our immediate environment (e.g. electro-smog). These have a negative effect on our cellular energy. In order to bring our body back into harmony with itself it is necessary to make these negative factors visible. For this purpose Beck & Beck have made use of the possibilities of holistic diagnostics as the means to develop an individualized immune therapy. 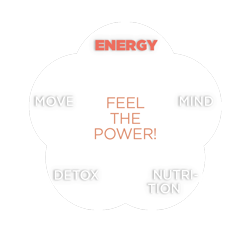 This therapy stimulates the body’s defenses on the mental and physical levels and thereby optimizes its energy flows. The body’s own activities are stimulated rather than overpowered. Unconscious information is processed. You are once more able to master the many challenges of daily life. The Beck & Beck energy concept is ideal for building up energy, preventing and treating burn-out, for dealing with stress and achieving an optimal Work-Life-Balance.